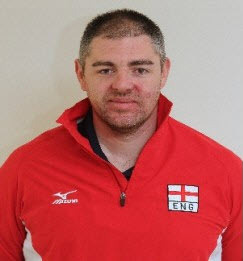 Simon Loftus started his coaching at the youth level in his native Scotland, but soon was on to bigger things. He developed the Leeds Metropolitan University program which dominated U.K. university volleyball for several years. He then went on to lead the Scottish men to their first ever trophy in international competition. After spending time coaching in the US, he returned to England to coach university and professional teams.